Money woes are one of the leading reasons that couples seek to divorce—and also a leading source of controversy during the divorce itself. Some couples use money as a way to exact revenge on their former partner, either by fighting tooth-and-nail for every dollar they believe they deserve, or by secreting away funds from marital accounts that would have otherwise been divided equally. Spouses who fear that their ex might be hiding assets or stealing from shared accounts might benefit from using a forensic accountant to help them seek out fraud. Read on to find out what a forensic accountant can do to make your divorce more equitable, and contact a seasoned Houston divorce lawyer for more information. Forensic accountants, when employed to help a divorcing spouse, can ensure that spouses’ financial disclosures are accurate when compared with tax returns, pay stubs, and other records showing the assets and debts that a marital couple owns. 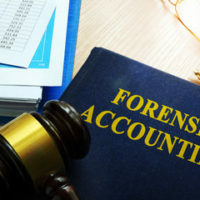 The forensic accountant can identify whether, for example, certain funds that should be shared have been funneled into separate business accounts in an attempt to remove them from the reach of a family court. For seasoned, compassionate, and effective legal help with your Texas divorce, contact the Houston Law Office of Maria S. Lowry at 713-850-8859.